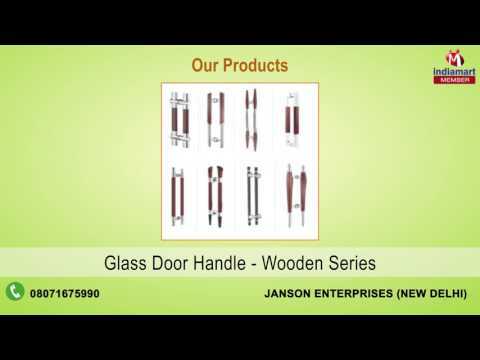 We, Janson Enterprises, established in the year 2005, are manufacturers, suppliers, traders, exporters and importers of a wide range of supreme quality Architectural Hardware Fitting. The product range offered by us consists of Glass Patch Fittings, Spider Fittings & Patch Fittings. These glass patch and hardware fittings offered by us are manufactured from high quality glass that is sourced from trusted and reliable vendors of the industry. To ensure high standards of quality, these patches are manufactured in compliance with industry set norms by using advanced and sophisticated tools and equipment. Owing to their dimensional accuracy, compact design and seamless finish, these glass patches and hardware fittings are highly demanded in the market. These glass patch and hardware fittings offered by us can be customized as per the specifications provided by the customers.